Car Accidents in Boston Reduced by Automation? 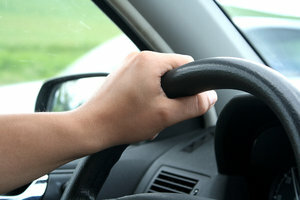 Recently, General Motors and some of its researchers looked into how non-driving activities influenced driver behavior. They looked into how self-steering vehicles affected us behind the wheel. One of the surprising findings is that drivers’ awareness actually improved when the car took hold of driving, according to Motorway America. Researchers wanted to know just how these newer technologies affected drivers and how effective they were in reducing the risks of accidents in Boston and elsewhere. “Drivers are already engaging in risky behavior, and are likely to continue doing so…so why not make it safer for them and the people around them,” said Dr. Eddy Llaneras, principal investigator for the study. Our Boston personal injury attorneys understand that researchers are looking to make some kind of vehicle automation that’s equipped with safeguards. They believe that this technology may be able to improve the dangerous behaviors that are already found all over roadways nationwide. According to the AAA Foundation for Traffic Safety, about a third of all drivers say that they email or text message behind the wheel on a regular basis. This stands true despite common views on the behavior, saying that’s they know it’s dangerous. Distracted driving is all too common on our roadways and takes the lives of thousands of people each and every year. Researchers are working diligently to find a way to reduce the dangers that are associated with it. In the General Motors’ study, officials looked at a driver’s attention to the road in both hands-on and automated steering circumstances. Both were recorded while the vehicle’s cruise control was activated. When drivers were engaging in other activities, aside from driving, they split they vision between the road and whatever else they’re doing. The study concluded that crash avoidance technologies actually help to keep a driver’s attention and vision on the road. Their attention actually increased by more than 125 percent when the automated steering was activated. With the new study, researchers and GM were looking for a way to better keep drivers engaged while the automation was activated. When drivers were questioned about these kinds of cars and their technology, many drivers expressed interest, especially when taking them on long road trips or by helping to alleviate driving worker’s stress. The study was partially funded by the Federal Highway Administration although they do not necessarily endorse all its findings. Automated vehicles have been moving quickly toward our roadways with each passing year. Researchers are getting closer and closer to creating a car that can steer itself. We already have in-car technologies that can help to warn drivers when there’s danger approaching. While these technologies all look good on paper and have some benefits in helping to reduce the risks of accidents, there’s still nothing more effective that safe and alert driving habits from everyone! If you or someone you love has been injured or killed in a car accident in Boston or elsewhere in the state, contact Massachusetts Car Accident Lawyer Jeffrey S. Glassman to set up a free and confidential appointment to discuss your rights. Call 1-877-617-5333 today!